The HRD World Summit is taking place next week in Paris. 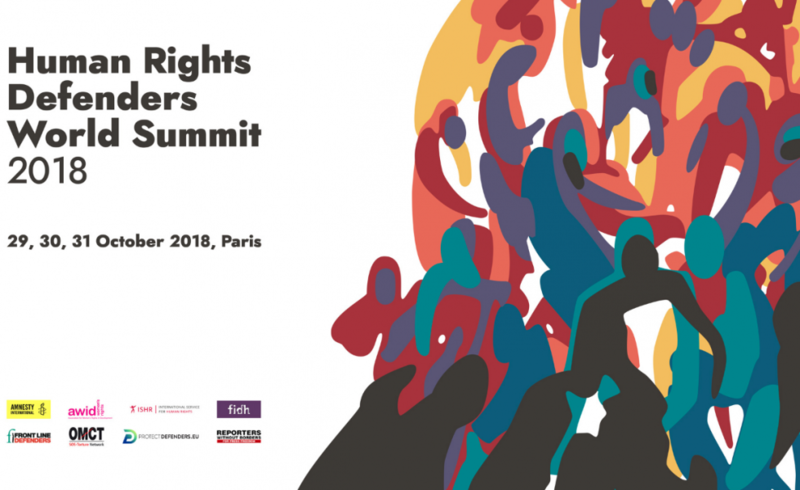 The Summit will see 150 human rights defenders from all over the world coming together to mark the 20th anniversary of the HRD Declaration and remind those in power that there is still much to do to ensure all defenders are recognised and protected. At the end of the summit, HRDs will present an Action Plan, which includes a set of recommendations on which states and other powerful actors need to act urgently. The Summit has been co-convened by 8 organizations, including WHRDIC members: Amnesty, FIDH, OMCT, Front Line Defenders, RSF, ProtectDefenders, AWID and ISHR. A bigger group of over 30 organizations have also been consulted in the preparation of the Summit. WHRDs will be at the centre stage throughout the summit.